Offering you a complete choice of products which includeindustrial silencer,residential silencer,generator silencerandexhaust silencer. 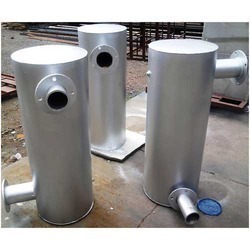 We are leading manufacturer supplier of Industrial silencer. We design and manufacture standard silencers for general purpose applications and custom models to suit your specific needs. Silencers are manufactured from aluminized steel, stainless steel or carbon steel depending upon the application and size and range from 2-inch to 20-inch silencer inlets with varying insertion performance capabilities. 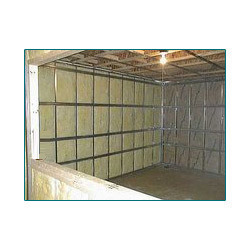 We are manufacturer supplier of Residential Silencers. These are designed and manufactured by making use of supreme grade raw material with the help of latest technology at our sophisticated production set up. Prior to dispatch them from our end, the offered Residential Silencersundergo quality tests to ensure their flawlessness. 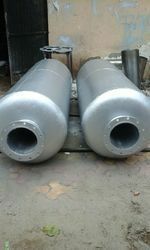 We are manufacturer supplier of generator silencer from any make 1.5" to 20". 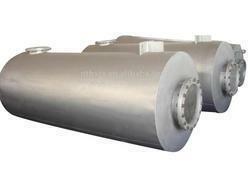 These Generator Silencers are designed and manufactured by making use of supreme grade raw material with the help of latest technology at our sophisticated production set up. Prior to dispatch them from our end, the offered Generator Silencer undergoes quality tests to ensure its flawlessness. We are manufacturer supplier of all types of Exhaust Silencers for generator, Boliers, Blowers, Rotary Blowers ETC From 1.5' to 20'. These are available to clients as per their requirements and at economical prices. Delcot provides best international standard quality Residential Silencer which is suitable for 5KVA genset of any make to 3000KVA range. It quench exhaust sound of any diesel engine of any type application. These are available as per clients' requirements. 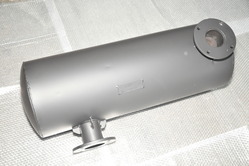 Looking for Exhaust silencer ?